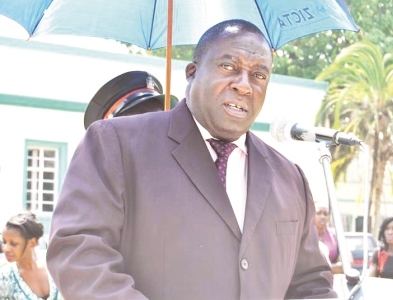 Copperbelt Minister, Mwenya Musenge, says government will continue building more schools on the Copperbelt and expand the existing infrastructure to increase the pupil enrolment levels. Mr Musenge also says the expansion of infrastructure in the education sector will help decongest the classrooms which at times carter for more than 100 pupils making it difficult for teachers to deliver quality education. Mr Musenge was speaking in Chimwemwe Township during an advocacy meeting dubbed “Championing the cause for better education for Orphans and Vulnerable Children (OVC) organised by the Copperbelt Health Education Project (CHEP). He also said government is committed towards ensuring that more orphans and vulnerable children attend education to improve their lives. Mr Musenge, who is also Chimwemwe Constituency Member of Parliament (MP), urged organisations looking after vulnerable children to approach government whenever they need support. He said as Member of Parliament for Chimwemwe Constituency, he was willing to use the Constituency Development Fund (CDF) to educate orphans in the area. Mr Musenge also bemoaned the increase in the number of unplanned settlements mushrooming in most towns on the Copperbelt. The minister said it is wrong for people to allocate themselves pieces of land without following the laid down procedure. He has since challenged councillors in various wards on the Copperbelt to come up with a system which will enable them fight illegal land allocation. Mr Musenge also urged medical personnel working in various health institutions on the Copperbelt to improve the delivery of health services to the people. He said people working in hospitals, especially nurses, are supposed to care for the patients in their custody unlike the current trend where people are discharged from health institutions when they are still unwell. Mr Musenge observed that nurses in most health institutions usually send patients home even when they are not too well and that the trend has contributed to the high death rates in the country. Earlier, residents of Chimwemwe appealed to Mr Musenge to deploy more nurses at Chimwemwe Clinic which is currently experiencing shortage of manpower. The residents also want the minister to address the challenges that orphaned children are facing when accessing education.